“Jacksonville” redirects here. For other uses, see Jacksonville (disambiguation). Harbor improvements since the late 19th century have made Jacksonville a major military and civilian deep-water port. Its riverine location facilitates two U.S. Navy bases and the Port of Jacksonville, Florida's third largest seaport. Significant factors in the local economy include services such as banking, insurance, healthcare and logistics. As with much of Florida, tourism is also important to the Jacksonville area, particularly tourism related to golf. In 2010, Jacksonville was listed as a "high sufficiency" world city in the World Cities Study Group’s inventory, ranking alongside cities such as Liverpool and Las Vegas. People from Jacksonville are known as "Jacksonvillians" or "Jaxons". European explorers first arrived in the area 1562, when French Huguenot explorer Jean Ribault charted the St. Johns River. In 1564, René Goulaine de Laudonnière established the first European settlement, Fort Caroline, on the St. Johns near the main village of the Saturiwa. On September 20, 1565, a Spanish force from the nearby Spanish settlement of St. Augustine attacked Fort Caroline, and killed nearly all the French soldiers defending it. The Spanish renamed the fort San Mateo, and following the ejection of the French, St. Augustine's position as the most important settlement in Florida was solidified. Spain ceded Florida to the British in 1763 after the French and Indian War, and the British soon constructed the King's Road connecting St. Augustine to Georgia. The road crossed the St. Johns River at a narrow point, which the Seminole called Wacca Pilatka and the British named the "Cow Ford", both names ostensibly reflecting the fact that cattle were brought across the river there. Britain ceded control of the territory back to Spain in 1783, after its defeat in the American Revolutionary War, and the settlement at the Cow Ford continued to grow. After Spain ceded the Florida Territory to the United States in 1821, American settlers on the north side of the Cow Ford decided to plan a town, laying out the streets and plats. They soon named the town "Jacksonville," after Andrew Jackson. Led by Isaiah D. Hart, residents wrote a charter for a town government, which was approved by the Florida Legislative Council on February 9, 1832. During the American Civil War, Jacksonville was a key supply point for hogs and cattle being shipped from Florida to aid the Confederate cause. The city was blockaded by Union forces, who gained control of the nearby Fort Clinch. From 1862, they controlled the city and most of the First Coast for the duration of the war. Though no battles were fought in Jacksonville proper, the city changed hands several times between Union and Confederate forces. Warfare and the long occupation left the city disrupted after the war. On May 3, 1901, downtown Jacksonville was ravaged by a fire that started at a fiber factory. Known as the "Great Fire of 1901", it was one of the worst disasters in Florida history and the largest urban fire in the southeastern United States. In just eight hours, it destroyed the business district and left approximately 10,000 residents homeless. It is said the glow from the flames could be seen in Savannah, Georgia, and the smoke plumes seen in Raleigh, North Carolina. Architect Henry John Klutho was a primary figure in the reconstruction of the city. More than 13,000 buildings were constructed between 1901 and 1912. In the mid-1960s, corruption scandals began to arise among many of the city's officials, who were mainly elected through the traditional old boy network. After a grand jury was convened to investigate, 11 officials were indicted and more were forced to resign. Jacksonville Consolidation, led by J. J. Daniel and Claude Yates, began to win more support during this period, from both inner city blacks, who wanted more involvement in government, and whites in the suburbs, who wanted more services and more control over the central city. In 1964 all 15 of Duval County's public high schools lost their accreditation. This added momentum to proposals for government reform. Lower taxes, increased economic development, unification of the community, better public spending and effective administration by a more central authority were all cited as reasons for a new consolidated government. When a consolidation referendum was held in 1967, voters approved the plan. On October 1, 1968, the governments merged to create the Consolidated City of Jacksonville. Fire, police, health & welfare, recreation, public works, and housing & urban development were all combined under the new government. In honor of the occasion, then-Mayor Hans Tanzler posed with actress Lee Meredith behind a sign marking the new border of the "Bold New City of the South" at Florida 13 and Julington Creek. Jacksonville is located at 30°19′9.84″N 81°39′36″W﻿ / ﻿30.3194, -81.66 (30.3194, −81.6600). A simulated-color image of Jacksonville, taken on NASA's Landsat 7 satellite. According to the United States Census Bureau, the city has a total area of 874.3 square miles (2,264 km2), making Jacksonville the largest city in land area in the contiguous United States; of this, 86.66% (757.7 sq mi or 1,962 km2) is land and ; 13.34% (116.7 sq mi or 302 km2) is water. Jacksonville completely encircles the town of Baldwin. Nassau County lies to the north, Baker County lies to the west, and Clay and St. Johns County lie to the south; the Atlantic Ocean lies to the east, along with the Jacksonville Beaches. The St. Johns River divides the city. The Trout River, a major tributary of the St. Johns River, is located entirely within Jacksonville. Jacksonville has a humid subtropical climate (Köppen Cfa), with mild weather during winters and hot weather during summers. High temperatures average 64 to 92 °F (18 to 33 °C) throughout the year. High heat indices are not uncommon for the summer months in the area, with indices above 110 °F (43.3 °C) possible. The highest temperature recorded in was 104 °F (40 °C) on July 11, 1879 and July 28, 1872. It is common for thunderstorms to erupt during a typical summer afternoon. These are caused by the rapid heating of the land relative to the water, combined with extremely high humidity. During winter, there can be hard freezes during the night. Such cold weather is usually short lived, as the city averages only 10 to 15 nights at or below freezing and around 5 days where the high does not rise above 50 °F (10 °C). The coldest temperature recorded at Jacksonville International Airport was 7 °F (−14 °C) on January 21, 1985, which continues to hold the lowest temperature on record for many locations in the southeastern U.S. Even rarer in Jacksonville than freezing temperatures is snow. When snow does fall, it usually melts upon making contact with the ground. Most residents of Jacksonville can remember accumulated snow on only two occasions—-the first was a thin ground cover that occurred December 23, 1989. The second event happened on December 26, 2010, when measurable snow fell for the first time in 21 years across metropolitan Jacksonville. Occurring in the morning, it also marked the first time since 1989 that the official National Weather Service recording equipment at Jacksonville International picked up frozen precipitation. Hurricane Dora as seen on Daytona Beach WSR-57 radar in September 1964. Jacksonville has suffered less damage from hurricanes than most other east coast cities, although the threat does exist for a direct hit by a major hurricane. The city has only received one direct hit from a hurricane since 1871; however, Jacksonville has experienced hurricane or near-hurricane conditions more than a dozen times due to storms crossing the state from the Gulf of Mexico to the Atlantic Ocean, or passing to the north or south in the Atlantic and brushing past the area. The strongest effect on Jacksonville was from Hurricane Dora in 1964, the only recorded storm to hit the First Coast with sustained hurricane force winds. The eye crossed St. Augustine with winds that had just barely diminished to 110 mph (180 km/h), making it a strong Category 2 on the Saffir-Simpson Scale. Jacksonville also suffered damage from 2008's Tropical Storm Fay which crisscrossed the state, bringing parts of Jacksonville under darkness for four days. Similarly, four years prior to this, Jacksonville was inundated by Hurricane Frances and Hurricane Jeanne, which made landfall south of the area. These tropical cyclones were the costliest indirect hits to Jacksonville. Hurricane Floyd in 1999 caused damage mainly to Jacksonville Beach. During Floyd, the Jacksonville Beach pier was severely damaged, and later demolished. The rebuilt pier was later damaged by Fay, but not destroyed. Tropical Storm Bonnie would cause minor damage in 2004, spawning a minor tornado in the process. On May 28, 2012, Jacksonville was hit by Tropical Storm Beryl, packing winds up to 70 miles per hour (113 km/h) which made landfall near Jacksonville Beach. The tallest building in Downtown Jacksonville's skyline is the Bank of America Tower, constructed in 1990 as the Barnett Center. It has a height of 617 ft (188 m) and includes 42 floors. Other notable structures include the 37-story Wells Fargo Center (with its distinctive flared base making it the defining building in the Jacksonville skyline), originally built in 1972-74 by the Independent Life and Accident Insurance Company, and the 28 floor Riverplace Tower which, when completed in 1967, was the tallest precast, post-tensioned concrete structure in the world. Jacksonville is interesting from an architectural view with fourteen buildings on the document, "Florida Architecture: 100 places, 100 years", compiled by the Florida chapter of the American Institute of Architects. Hemming Plaza is Jacksonville's first and oldest park. It is downtown and surrounded by government buildings. Riverside Park and Memorial Park are the city's second and third oldest parks (respectively), and located in the historic Riverside area. Tree Hill Nature Center is a nature preserve and environmental education center located five minutes from Downtown Jacksonville. The Jacksonville Arboretum & Gardens broke ground on a new center in April, 2007 and held their grand opening on November 15, 2008. The Friendship Fountain has been one of Jacksonville's most recognizable and popular attractions, it features a light show and music each evening. Amity Turkish Cultural Center was established in 2006 as one of the major Dialogue and Cultural organizations in Jacksonville. Theatre Jacksonville was organized in 1919 as the Little Theatre and is one of the oldest continually producing community theatres in the United States. Sun-Ray Cinema, formerly the 5 Points Theatre and Riverside Theatre, opened in 1927. It was the first theater equipped to show talking pictures in Florida and the third nationally. It is located in the Five Points section of town and was renamed the Five Points Theater in 1949. The Ritz Theatre, opened in 1929, is located in the LaVilla neighborhood of the northern part of Jacksonville's downtown. The Jacksonville music scene was active in the 1930s in LaVilla, which was known as “Harlem of the South”. Black musicians from across the country visited Jacksonville to play standing room only performances at the Ritz Theatre and the Knights of Pythias Hall. Cab Calloway, Duke Ellington, Ella Fitzgerald and Louis Armstrong were a few of the legendary performers who appeared. After his mother died when he was 15, Ray Charles lived with friends of his mother while he played piano at the Ritz for a year, before moving on to fame and fortune. The Ritz Theatre was rebuilt and opened in October 1999. The Jacksonville Veterans Memorial Arena, which opened in 2003, is a 16,000-seat performance venue that attracts national entertainment, sporting events and also houses the Jacksonville Sports Hall of Fame. It replaced the outdated Jacksonville Coliseum that was built in 1960 and demolished on June 26, 2003. The Alhambra Dinner Theatre, located on the Southside near the University of North Florida, has offered professional productions that frequently starred well-known actors since 1967. There are also a number of popular community theatres such as Players by the Sea at Jacksonville Beach. Atlantic Beach Experimental Theatre (ABET), and Orange Park Community Theatre. A number of cultural events are also held in Jacksonville. The Jacksonville Jazz Festival, held downtown, is the second-largest jazz festival in the nation, while Springing the Blues, one of the oldest and largest blues festivals, has been held in Jacksonville Beach since 1990. The World of Nations Celebration has been held in Metropolitan Park since 1993, and features a number of events, food and souvenirs from various countries. The Jacksonville Film Festival, held at seven historic venues in the city, has been held since 2003 and has featured a variety of independent films, documentaries and shorts. Other events include the Blessing of the Fleet held in March since 1985 and the Greater Jacksonville Agricultural Fair in November at the Jacksonville Fairgrounds and Exposition Center featuring games, rides, food, entertainment and livestock exhibition. Holiday celebrations include the Freedom, Fanfare & Fireworks celebration on July 4, the lighting of Jacksonville's official Christmas tree at the Jacksonville Landing on the day after Thanksgiving and the Jacksonville Light Parade of boats the following day. The city center includes the Jacksonville Landing and the Jacksonville Riverwalks. The Landing is a popular riverfront dining and shopping venue, accessible by River Taxi from the Southbank Riverwalk. The Northbank Riverwalk runs 2.0 miles (3.2 km) along the St. Johns from Berkman Plaza to I-95 at the Fuller Warren Bridge while the Southbank Riverwalk stretches 1.2 miles (1.9 km) from the Radisson Hotel to Museum Circle. Adjacent to Museum Circle is St. Johns River Park, also known as Friendship Park. It is the location of Friendship Fountain, one of the most recognizable and popular attractions for locals as well as tourists in Jacksonville. This landmark was built in 1965 and promoted as the “World’s Tallest and Largest” fountain at the time. The Jacksonville Zoo and Gardens boasts the second largest animal collection in the state. The zoo features elephants, lions, and, of course, jaguars (with an exhibit, Range of the Jaguar, hosted by the former owners of the Jacksonville Jaguars, Delores and Wayne Weaver). It also has a multitude of reptile houses, free flight aviaries, and many other animals. Adventure Landing is an amusement park with locations in Jacksonville and Jacksonville Beach. The Jacksonville Beach location contains Shipwreck Island, Duval County's only waterpark. Jacksonville has two fully enclosed shopping malls. The oldest is the Regency Square Mall, which opened in 1967 and is located on former sand dunes in the Arlington area. The other is The Avenues Mall, which opened in 1990 on the Southside, at the intersection of I-95 and US 1. The Orange Park Mall is another mall located just south of the city in the suburb of Orange Park, Florida, in Clay County, off of Blanding Boulevard (State Road 21). The Avenues, Orange Park Mall, and St. Johns Town Center are all owned by Simon Property Group; Regency is owned by General Growth Properties; River City Marketplace is owned by Ramco-Gershenson. Jacksonville is home to one major league sports team, the Jacksonville Jaguars of the National Football League (NFL). The Jaguars joined the NFL as an expansion team in the 1995 season; they play their home games at EverBank Field. The PGA Tour, which organizes the main professional golf tournaments in the U.S., is headquartered in the suburb of Ponte Vedra Beach, where it holds The Players Championship every year. In 2005, Jacksonville hosted Super Bowl XXXIX. Jacksonville is also home to several minor league-level teams. The Jacksonville Suns, a class Double-A baseball team, have played in Jacksonville continuously since 1970, longer than any other Double-A team has been in its city, and are the top-selling franchise in the Southern League. The Jacksonville Sharks, who began play in 2010, are the current champions of the Arena Football League. The Jacksonville Axemen are a semi-professional rugby league team founded in 2006, and now play in the USA Rugby League. The Jacksonville Giants basketball team started play in the new American Basketball Association in December 2010. The Giants won the 2012 ABA National Championship March 2012 in Tampa, Florida. Jacksonville has a diverse religious population. The largest religious group is Protestant; according to the Association of Religion Data Archives (ARDA), in 2000 the Jacksonville metropolitan area had an estimated 265,158 Evangelical Protestants, over 70% of whom were Southern Baptists, and 89,649 Mainline Protestants, attending around 700 congregations. Several of these are megachurches, including Bethel Baptist Institutional Church, First Baptist Church downtown and Christ's Church (formerly Mandarin Christian Church) on Greenland Road. The Episcopal Diocese of Florida has its see in St. John's Cathedral, the current building dating to 1906. Jacksonville is part of the Catholic Diocese of St. Augustine, which covers seventeen counties in North Florida and has 171,000 registered members attending 52 parishes. One notable Catholic church in Jacksonville is the Basilica of the Immaculate Conception, a minor basilica added to the National Register of Historic Places in 1992. There are also two Eastern Catholic parishes, one of the Syriac Catholic Church and one of the Maronite Church. According to ARDA, in 2000 there were 3,090 Eastern Orthodox Christians representing seven churches in the Eastern Orthodox communion, as well as one congregation of 200 Syriac Orthodox Christians. There were also 7,734 members of the LDS Church (Mormons) and 404 Unitarian Universalists, who have worshiped at the Unitarian Universalist Church of Jacksonville since 1906. The Jewish community, which numbered 7,300 in 2000, is largely centered in the neighborhood of Mandarin. There are two Reform, two Conservative, and four Orthodox synagogues (three of them Chabad-affiliated), and two more synagogues in St. Augustine. The Muslim community numbered 2,182 in 2000, and had three congregations, including the Islamic Center of Northeast Florida, the region's largest mosque. The Florida Times-Union is the major daily newspaper in Jacksonville. Jacksonville.com is its official website. Another daily newspaper focused on the legal community is the Financial News and Daily Record. The city's chief alternative newsweekly is Folio Weekly. Others include EU Jacksonville and Buzz Magazine.. The Jacksonville Business Journal is a weekly paper that focuses on the local economy and business community. The Jacksonville Free Press is a weekly paper serving the African-American community. In the early 20th century, New York-based moviemakers were attracted to Jacksonville's warm climate, exotic locations, excellent rail access, and cheaper labor, earning the city the title of "The Winter Film Capital of the World". Over 30 movie studios were opened and thousands of silent films produced between 1908 and the 1920s, when most studios relocated to Hollywood, California. Since that time, Jacksonville has been chosen by a number of film and television studios for on-location shooting. Notable motion pictures that have been partially or completely shot in Jacksonville since the silent film era include Creature from the Black Lagoon (1954), The New Adventures of Pippi Longstocking (1988), Brenda Starr (1989), G.I. Jane (1997), The Devil's Advocate (1997), Ride (1998), Why Do Fools Fall In Love (1998), Forces of Nature (1999), Tigerland (2000), Sunshine State (2002), Basic (2003), The Manchurian Candidate (2004), Lonely Hearts (2006), Moving McAllister (2007), The Year of Getting to Know Us (2008), The Ramen Girl and Like Dandelion Dust. Jacksonville is the 47th largest local television market in the United States, and is served by television stations affiliated with major American networks including WTLV (NBC/The Country Network), WJXX (ABC/NBC Weather Plus), WTEV (CBS/Cool TV), WAWS (Fox/My Network TV), WJCT (PBS),and WCWJ (CW). WJXT is a former longtime CBS affiliate that turned independent in 2002. Jacksonville is the 46th largest local radio market in the United States, and is dominated by the same two large ownership groups that dominate the radio industry across the United States: Cox Radio and Clear Channel Communications. The dominant AM radio station in terms of ratings is WOKV 690AM, which is also the flagship station for the Jacksonville Jaguars. In September 2006, WOKV began simulcasting on 106.5 FM as WOKV FM. There are two radio stations broadcasting a primarily contemporary hits format; WAPE 95.1 has dominated this niche for over twenty years, and more recently has been challenged by WFKS 97.9 FM (KISS FM). WJBT 93.3 (The Beat) is a hip-hop/R&B station, WSOS-FM 94.1 is a Classic rock station, WWJK 107.3 is an oldies station. WXXJ 102.9 is an alternative station, WFYV 104.5—Rock 105 Jacksonville is a Classic rock and alternative station, WQIK 99.1 is a country station as well as WGNE-FM 99.9, WCRJ FM 88.1 (The Promise) is the main Contemporary Christian station operating since 1984, WHJX 105.7 and WFJO 92.5 plays music in Spanish like salsa, merengue, and reggaeton, and WJCT 89.9 is the local National Public Radio affiliate. Local Jones College also hosts an easy listening station, WKTZ 90.9 FM. The NPR and PRX radio show, State of the Re:Union, hosted by performance poet and playwright, Al Letson, is headquartered and produced in Jacksonville. Jacksonville is the most populous city in Florida, and the eleventh most populous city in the United States. As of 2010, there were 821,784 people and 366,273 households in the city. The largest ancestries include: German (9.6%), American (9.3%), Irish (9.0%), English (8.5%), and Italian (3.5%). Jacksonville has the country's tenth-largest Arab population, with a total population of 5,751 according to the 2000 United States Census. Jacksonville has a large Filipino population, in part related to their tradition of service with the Navy. In addition, there is a large Croatian population, located mostly on the south side of Jacksonville, and Russian population. Jacksonville also has a large and growing Puerto Rican population. As of 2010, there were 366,273 households out of which 11.8% were vacant. As of 2000, 33.9% of households had children under the age of 18 living with them, 46.7% were married couples living together, 16.0% had a female householder with no husband present, and 33.0% were non-families. 26.2% of all households were made up of individuals and 7.7% had someone living alone who was 65 years of age or older. The average household size was 2.53 and the average family size was 3.07. In the city, the population was spread out with 26.7% under the age of 18, 9.7% from 18 to 24, 32.3% from 25 to 44, 21.0% from 45 to 64, and 10.3% who were 65 years of age or older. The median age was 34 years. For every 100 females there were 93.9 males. For every 100 females age 18 and over, there were 90.6 males. As of the 2006–2008 American Community Survey, 88.1% of Jacksonville's population age five and over spoke only English at home while 5.2% of the population spoke Spanish at home. About 3.2% spoke other Indo-European languages at home. About 2.5% spoke an Asian language at home. The remaining 0.9% of the population spoke other languages at home. As of 2000, speakers of English as a first language accounted for 90.60% of all residents, while those who spoke Spanish made up 4.13%, Tagalog 1.00%, French 0.47%, Arabic 0.44%, German 0.43%, both Vietnamese and Croatian at 0.31%, Russian was 0.21% and Italian made up 0.17% of the population. The most noteworthy feature of Jacksonville government is its consolidated nature. 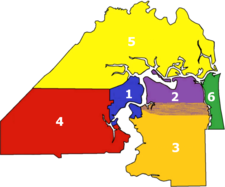 The Duval County-Jacksonville consolidation eliminated any type of separate county executive or legislature, and supplanted these positions with the Mayor of Jacksonville and the City Council of the City of Jacksonville, respectively. Because of this, voters who live outside of the city limits of Jacksonville but inside Duval County are allowed to vote in elections for these positions and to run for them. In fact, in 1995, John Delaney, a resident of Neptune Beach, was elected mayor of the city of Jacksonville. The St. James Building, currently housing Jacksonville City Hall. Jacksonville uses the Mayor-Council form of city government, also called the Strong-Mayor form, in which a mayor serves as the city's Chief Executive and Administrative officer. The mayor holds veto power over all resolutions and ordinances made by the city council and also has the power to hire and fire the head of various city departments. The current mayor is Alvin Brown, who assumed office on July 1, 2011. Jacksonville and Duval County historically maintained separate police agencies: the Jacksonville Police Department and Duval County Sheriff's Office. As part of consolidation in 1968, the two merged, creating the Jacksonville Sheriff's Office (JSO). The JSO is headed by the elected Sheriff of Jacksonville, currently John Rutherford, and is responsible for law enforcement and corrections in the county. Jacksonville is home to a number of institutions of higher education. The University of North Florida (UNF), opened in 1972, is a public institution and a member of the State University System of Florida. Former mayor John Delaney has been president of UNF since leaving office in July 2003. Jacksonville University (JU) is a private institution founded in 1934. Edward Waters College, established in 1866, is the oldest college in Jacksonville and the state's oldest historically black college. Florida State College at Jacksonville is a state college and a member of the Florida College System, offering two-year associate's degrees as well as some four-year bachelor's degrees. 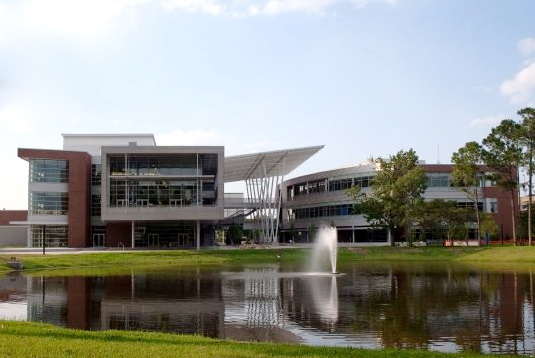 The University of Florida has its second campus of the J. Hillis Miller Health Science Center in Jacksonville. Other colleges and universities in Jacksonville include Florida Coastal School of Law, The Art Institute of Jacksonville, and Jones College. Also in the area are St. Johns River State College, a state college with campuses in Clay, St. Johns, and Putnam Counties, and Flagler College in St. Augustine. 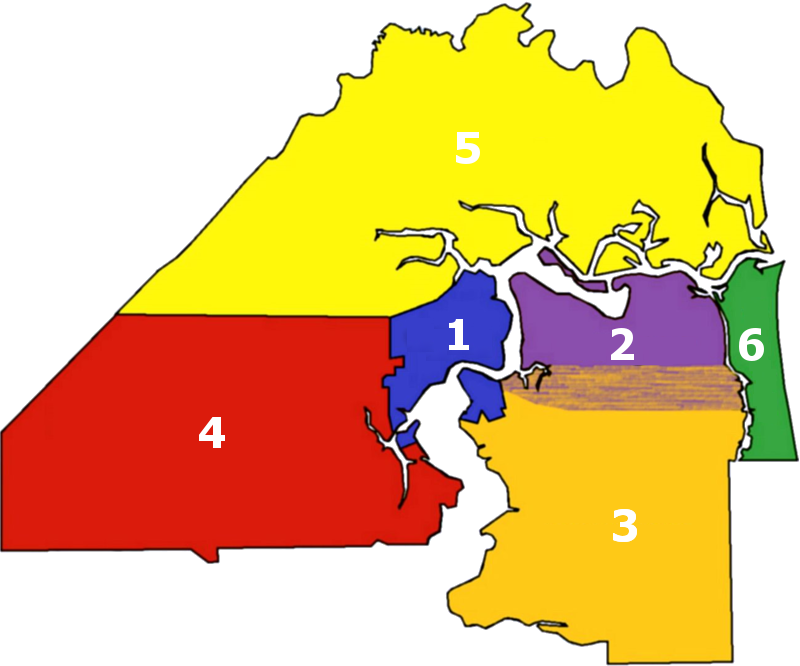 Public primary and secondary schools in Jacksonville and Duval County are administered by Duval County Public Schools, which is governed by an elected, seven-member Duval County School Board. In the 2009-2010 school year the district enrolled 123,000 students. It administers 172 total schools, including 103 elementary schools, 25 middle schools, 19 high schools, 3 K-8 schools, and 1 6-12 school, as well as 13 charter schools and a juvenile justice school program. Of these, 62 are designated magnet schools. Three of Jacksonville's high schools, Stanton College Preparatory School, Darnell-Cookman Middle/High School Paxon School for Advanced Studies regularly appear at the top of Newsweek magazine's annual list of the country's top public high schools, coming in respectively at #3 #7, and #8 in the 2010 edition. Five other schools, Douglas Anderson School of the Arts (#33), Mandarin High School (#97), Duncan U. Fletcher High School (#205) Sandalwood High School (#210), and Englewood High School (#1146) were also included in the list. On November 12, 2005, the new 300,000 sq ft (30,000 m2) Main Library opened to the public, replacing the 40-year old Haydon Burns Library. The largest public library in the state, the opening of the new main library marked the completion of an unprecedented period of growth for the system under the Better Jacksonville Plan. The new Main Library offers specialized reading rooms, public access to hundreds of computers and public displays of art, an extensive collection of books, and special collections ranging from the African-American Collection to the recently opened Holocaust Collection. Jacksonville is home to many prominent corporations and organizations, including the headquarters of four Fortune 500 companies: CSX Corporation, Fidelity National Financial, Fidelity National Information Services and Winn-Dixie Stores, Inc.. In addition to CSX, the Florida East Coast Railway as well as Swisher International Group and the large short line railroad holding company RailAmerica are also based in Jacksonville. Cecil Commerce Center is located on the site of the former Naval Air Station Cecil Field which closed in 1999 following the 1993 Base Realignment and Closure (BRAC) decision. Covering a total area of 22,939 acres (92.831 km2), it was the largest military base in the Jacksonville area. The parcel contains more than 3% of the total land area in Duval County (17,000 acres (69 km2)). The industrial and commercial-zoned center offers mid to large-size parcels for development and boasts excellent transportation and utility infrastructure as well as the third-longest runway in Florida. Jacksonville is home to multiple military facilities, and with Naval Submarine Base Kings Bay nearby gives Jacksonville the third largest naval presence in the country. Only Norfolk, Virginia and San Diego, California are bigger. The military is by far the largest employer in Jacksonville and its total economic impact is approximately $6.1 billion annually. Blount Island Terminal with the Dames Point Bridge in the background. USS Jacksonville, a nuclear-powered Los Angeles class submarine, is a US Navy ship named for the city. The ship's nickname is The Bold One and Norfolk, Virginia is her home port. Coast Guard Sector Jacksonville is located on the St. Johns River next to Naval Station Mayport. Sector Jacksonville controls operations from Kings Bay, GA south to Cape Canaveral, FL. The CGC Kingfisher, CGC Maria Bray, and CGC Hammer are stationed at the Sector. Station Mayport is co-located with Sector Jacksonville and includes 25-foot (7.6 m) Response Boats, and 47-foot (14 m) Motor Life Boats. Major players in the Jacksonville health care industry include St. Vincent's HealthCare, Baptist Health and UF Health Jacksonville for local residents. Additionally, Nemours Children's Clinic and Mayo Clinic Hospital each draw patients regionally. For more details on this topic, see List of non-profit organizations in Jacksonville, Florida. "JEA is authorized to own, manage and operate a utilities system within and outside the City of Jacksonville. JEA is created for the express purpose of acquiring, constructing, operating, financing and otherwise have plenary authority with respect to electric, water, sewer, natural gas and such other utility systems as may be under its control now or in the future." AT&T (formerly BellSouth) is Jacksonville's local phone provider, and their U-Verse service offers TV, internet, and VoIP phone service to customers served by fiber-to-the-premises or fiber-to-the-node using a VRAD. A monorail was first proposed in 1970s as part of a mobility plan hoping to attract interest from the Urban Mass Transit Administration's Downtown Peoplemover Program. The initial study was undertaken by the Florida Department of Transportation and Jacksonville's planning department, who took the Skyway project to the Jacksonville Transportation Authority (JTA) in 1977. Following further development and a final 18-month feasibility study, the UMTA selected Jacksonville as one of seven cities to receive federal funding for an automated people mover. Two other related projects are Miami's Metromover and Detroit's People Mover. UMTA's approved plan called for the construction of a 2.5-mile (4.0 km) Phase I system to be built in three segments. Jacksonville is served by Jacksonville International Airport(IATA: JAX, ICAO: KJAX, FAA LID: JAX), 13 miles north of downtown. Jacksonville International Airport (JAX) has 82 departures a day, with 27 nonstop destination cities. Airports in Jacksonville are managed by the Jacksonville Aviation Authority (JAA). Smaller aircraft use Jacksonville Executive at Craig Airport(IATA: CRG, ICAO: KCRG, FAA LID: CRG) in Arlington, Herlong Recreational Airport(ICAO: KHEG, FAA LID: HEG) on the Westside, and Cecil Airport(IATA: VQQ, ICAO: KVQQ, FAA LID: VQQ), at Cecil Commerce Center. The state of Florida has designated Cecil Airport a space port, allowing horizontal lift spacecraft to use the facility. Interstate Highways 10 and 95 intersect in Jacksonville, forming the busiest intersection in the region with 200,000 vehicles each day. Interstate 10 ends at this intersection (the other end being in Santa Monica, California). Additionally, State Road 202 (J. Turner Butler Boulevard) connects Jacksonville to the beaches. Interstate 95 has a bypass route, with I-295, which encircles the downtown area. The major interchange at I-295 and SR 202 (Butler Blvd) was finally completed on December 24, 2008. SR 9B is underway and will connect I-295's southeast corner to the Bayard Area. US 1 and US 17 travel through the city from the south to the north, and US 23 enters the city concurrent with US 1. In downtown, US 23 splits from US 1 and quickly runs to its southern terminus. The eastern terminus of US 90 is in nearby Jacksonville Beach near the Atlantic Ocean. U.S. 23 other end is in Mackinaw City, Michigan. There are seven bridges over the St. Johns River at Jacksonville. They include (starting from farthest downstream) the Napoleon Bonaparte Broward Bridge (Dames Point) (which carries Interstate 295 Eastern Beltway traffic), the John E. Mathews Bridge, the Isaiah D. Hart Bridge, the John T. Alsop Jr. Bridge (Main Street), the St. Elmo W. Acosta Bridge, the Fuller Warren Bridge (which carries I-95 traffic) and the Henry Holland Buckman Bridge (which carries I-295 North/South traffic). Also, next to the Acosta Bridge is a large jackknife railroad bridge built in the 1920s by Henry flagler's FEC railroad. ^ a b c "US Gazetteer files: 2010, 2000, and 1990". United States Census Bureau. 2011-02-12. http://www.census.gov/geo/www/gazetteer/gazette.html. Retrieved 2011-04-23. ^ Population Growth, 2013. United States Census Bureau. 2013-05-23. Retrieved 2015-05-27. ^ "Cities with 100,000 or More Population in 2000 ranked by Land Area (square miles) /1, 2000 in Rank Order". U.S. Census Bureau, Administrative and Customer Services Division, Statistical Compendia Branch. March 16, 2004. http://www.census.gov/statab/ccdb/cit1010r.txt. Retrieved October 26, 2010. ^ Conte, Christian (March 17, 2011). "Jacksonville grew 11.7% in 10 years". Jacksonville Business Journal. http://www.bizjournals.com/jacksonville/news/2011/03/17/jacksonville-grew-117-in-10-years.html. Retrieved March 30, 2011. ^ "Largest U.S. Metropolitan Areas, 1990-2010," US Census Bureau, in World Almanac and Book of Facts 2012, p. 612. ^ Harding, Abel (April 3, 2010). "Golf tourism a boon for Northeast Florida". The Florida Times-Union. http://jacksonville.com/opinion/blog/abel-harding/2010-04-02/golf-tourism-boon-northeast-florida. Retrieved October 26, 2010. ^ a b "Jacksonville". Encyclopaedia Britannica. http://www.britannica.com/EBchecked/topic/298914/Jacksonville. Retrieved November 21, 2011. ^ "GaWC – The World According to GaWC 2010". Lboro.ac.uk. September 14, 2011. http://www.lboro.ac.uk/gawc/world2010t.html. Retrieved July 27, 2012. ^ "Call Box". The Florida Times-Union. April 26, 2000. http://jacksonville.com/tu-online/stories/042600/met_2898986.html. Retrieved May 10, 2013. ^ Soergel, Matt (18 October 2009). "The Mocama: New name for an old people". The Florida Times-Union. http://jacksonville.com/news/metro/2009-10-18/story/the_mocama_new_name_for_an_old_people. Retrieved August 3, 2010. ^ Milanich, Jerald (1999). The Timucua. Wiley-Blackwell. pp. 48–49. ISBN 0-631-21864-5. http://books.google.com/books?id=cndrPgVY4VgC&printsec=frontcover#v=onepage&q&f=false. Retrieved July 12, 2011. ^ "Exploring Florida.com: Pedro Menendez de Aviles Claims Florida for Spain". Fcit.usf.edu. http://fcit.usf.edu/Florida/lessons/menendz/menendz1.htm. Retrieved August 3, 2010. ^ Beach, William Wallace (1877). The Indian Miscellany. J. Munsel. p. 125. http://books.google.com/books?id=lqqAAAAAIAAJ&printsec=frontcover&source=gbs_ge_summary_r&cad=0#v=onepage&q&f=false. Retrieved July 12, 2011. ^ Wells, Judy (March 2, 2000). "City had humble beginnings on the banks of the St. Johns". The Florida Times-Union. http://jacksonville.com/tu-online/stories/030200/ent_S0302FIR.html. Retrieved 2 July 2011. ^ Presidential visits to Florida ... - Google Books. Books.google.com. http://books.google.com/books?printsec=frontcover&id=xjD5x9F1WyoC#PPA1,M1. Retrieved 2010-07-01. ^ "Old Confederate Soldiers and Sailors Home 1893 - 1938" in Kirby Smith Camp #1209, Sons of Confederate Veterans at http://www.scv-kirby-smith.org/confederateHOME.htm . Retrieved January 27, 2010. ^ "Jacksonville (city), Florida". State & County QuickFacts. U.S. Census Bureau. http://quickfacts.census.gov/qfd/states/12/1235000.html. ^ "Florida - Race and Hispanic Origin for Selected Cities and Other Places: Earliest Census to 1990". U.S. Census Bureau. http://www.census.gov/population/www/documentation/twps0076/twps0076.html. ^ "Consolidation's Most Famous Photo". Jax History Journal. Jacksonville Historical Society. http://www.jaxhistory.com/journal11.html. Retrieved 28 March 2012. ^ Will Vasana (2000-09-05). "Jacksonville Real Estate website: Better Jacksonville Plan". Bringyouhome.com. http://www.bringyouhome.com/betterjacksonville.html. Retrieved 2010-07-01. ^ "Florida Topography". City-Data.com. http://www.city-data.com/states/Florida-Topography.html. Retrieved 17 May 2012. ^ "Elevations and Distances in the United States". U.S. Geological Survey. http://egsc.usgs.gov/isb/pubs/booklets/elvadist/elvadist.html. Retrieved 17 May 2012. ^ Smith, Chad (May 14, 2012). "This could be the start of a big sinkhole season". Gainesville Sun. http://www.gainesville.com/article/20120514/ARTICLES/120519772?p=1&tc=pg. Retrieved 17 May 2012. ^ "NOAA/National Climatic Data Center: Table-Mean Number of Days With Minimum Temperature 32 Degrees F or Less". Lwf.ncdc.noaa.gov. 2008-08-20. http://lwf.ncdc.noaa.gov/oa/climate/online/ccd/min32temp.html. Retrieved 2010-07-01. ^ "Weather service, Jacksonville.com users report snow flurries across Northeast Florida". Jacksonville.com. http://jacksonville.com/news/metro/2010-12-26/story/weather-service-jacksonvillecom-users-report-snow-flurries-across. Retrieved 2010-12-26. ^ "Citizens Planning Advisory Committee (CPACs)". coj.net. http://www.coj.net/Departments/Housing+and+Neighborhoods/Community+Development/CPACs/default.htm. Retrieved November 3, 2010. ^ Wood, Wayne (1992). Jacksonville's Architectural Heritage. University Press of Florida. pp. 3; 7. ISBN 0-8130-0953-7. ^ Carbone, Marisa; Sarah W. Reiss, John Finotti (2009). Insiders' Guide to Jacksonville, 3rd Edition. Globe Pequot. pp. 181–182. ISBN 0-7627-5032-4. http://books.google.com/books?id=rlHWoqDYZHkC&printsec=frontcover&source=gbs_ge_summary_r&cad=0#v=onepage&q&f=false. Retrieved May 10, 2011. ^ Turner, Kevin (March 5, 2011). "No more 'Modis' on downtown Jacksonville building". The Florida Times-Union. http://jacksonville.com/business/2011-03-05/story/no-more-modis-downtown-jacksonville-building. Retrieved April 1, 2013. ^ "Life After Modis: Tower To Get New Name". WJXT. May 20, 2011. Archived from the original on August 15, 2011. http://web.archive.org/web/20110815225643/http://www.news4jax.com/news/27968136/detail.html. Retrieved April 1, 2013. ^ Emporis GmbH. "Riverplace Tower, Jacksonville". Emporis.com. http://www.emporis.com/en/wm/bu/?id=riverplacetower-jacksonville-fl-usa. Retrieved 2010-07-01. ^ "Tallest Buildings in Jacksonville". Emporis.com. 2009-06-15. http://www.emporis.com/en/wm/ci/bu/sk/li/?id=101041&bt=2&ht=2&sro=1. Retrieved 2010-07-01. ^ "Florida Architecture: 100 Years. 100 Places.". American Institute of Architects Florida. http://www.aiafltop100.org/Current-Standings.cfm. Retrieved 7 May 2013. ^ "ABET | Atlantic Beach Experimental Theatre". Abettheatre.com. http://www.abettheatre.com/. Retrieved 2012-02-02. ^ "Orange Park Community Theatre". Opct.org. http://www.opct.org/. Retrieved 2010-07-01. ^ "Superpages Travel reviews". Superpages.com. 2009-06-22. http://www.superpages.com/cities/Jacksonville-FL.html. Retrieved 2010-07-01. ^ "The Blues Foundation's List of Festivals". Blues.org. https://www.blues.org/#ref=links_links. Retrieved 2010-11-01. ^ "March 11, 2006-10,000 Participate; Keflezighi Wins Gate River Run". News4Jax.com. 2006-03-11. http://www.news4jax.com/sports/7905330/detail.html. Retrieved 2010-07-01. ^ a b c Reiss, Sarah W. (2009). Insiders' Guide to Jacksonville, 3rd Edition. Globe Pequot. pp. 82–83. ISBN 0-7627-5032-4. http://books.google.com/books?id=rlHWoqDYZHkC&printsec=frontcover&source=gbs_ge_summary_r&cad=0#v=onepage&q&f=false. Retrieved September 15, 2011. ^ Charlie Patton (July 7, 2010). "Planetarium will be new star again at MOSH". The Florida Times-Union. http://jacksonville.com/entertainment/2010-07-07/story/museum-officials-expect-planetarium-upgrades-attract-more-visitors. Retrieved March 26, 2012. ^ "INUSA tourguide: Jacksonville, Florida". Inusa.com. http://www.inusa.com/tour/fl/jacksonv/brest.htm. Retrieved 2010-07-01. ^ Charlie Patton (March 1, 2011). "Jacksonville's Karpeles Manuscript Library Museum has the write stuff". The Florida Times-Union. http://jacksonville.com/entertainment/arts/2011-03-01/story/jacksonvilles-karpeles-manuscript-library-museum-has-write-stuff. Retrieved September 13, 2011. ^ Charlie Patton (January 21, 2001). "Get it documented". The Florida Times-Union. http://jacksonville.com/tu-online/stories/012101/dss_5172793.html. Retrieved September 13, 2011. ^ Diana Middleton (2008-11-16). "Florida Times-Union: November 16, 2008-Remember when we all used to go to the Mall? by Diana Middleton". Jacksonville.com. http://www.jacksonville.com/tu-online/stories/111608/bus_356443965.shtml. Retrieved 2010-07-01. ^ "Jacksonville Jaguars". profootballhof.com. Pro Football Hall of Fame. http://www.profootballhof.com/history/team.aspx?franchise_id=15. Retrieved October 27, 2010. ^ Rubenstein, Lorne (2004). Mike Weir: The Road To The Masters. Random House. ISBN 0-7710-7574-X. http://books.google.com/books?id=pkkkgTvNDMsC&printsec=frontcover&source=gbs_ge_summary_r&cad=0#v=onepage&q&f=false. Retrieved October 27, 2010. ^ Pahigian, Josh (2007). The Ultimate Minor League Baseball Road Trip: A Fan's Guide to AAA, AA, A, and Independent League Stadiums. Globe Pequot. p. 201. ISBN 1-59921-024-X. http://books.google.com/books?id=1DaQ8oNXuE0C&printsec=frontcover&source=gbs_ge_summary_r&cad=0#v=onepage&q&f=false. Retrieved October 27, 2010. ^ "Jacksonville Baseball History". jaxsuns.com. 2010. http://web.minorleaguebaseball.com/team4/page.jsp?ymd=20070103&content_id=150375&vkey=team4_t564&fext=.jsp&sid=t564. Retrieved October 27, 2010. ^ "Arena football team to be Sharks". Jacksonville Business Journal. November 18, 2009. http://www.bizjournals.com/jacksonville/stories/2009/11/16/daily23.html. Retrieved October 27, 2010. ^ Don Coble (August 12, 2011). "Sharks win ArenaBowl on final play". The Florida Times-Union. http://jacksonville.com/sports/football/sharks/2011-08-12/story/sharks-win-arenabowl-final-play. Retrieved September 2, 2011. ^ "Breakaway league launched in the US". code13rugbyleague.com. January 12, 2011. Archived from the original on January 19, 2011. http://www.webcitation.org/5vrIJxNGt. Retrieved January 20, 2011. ^ Elliott, Jeff (October 20, 2010). "ABA pro basketball team coming to Jacksonville". The Florida Times-Union. http://jacksonville.com/jeff-elliott/2010-10-20/story/aba-pro-basketball-team-coming-jacksonville. Retrieved November 24, 2010. ^ Gurbal, Ashley (November 10, 2010). "Jacksonville Giants will tip off Dec. 4". Jacksonville Business Journal. http://www.bizjournals.com/jacksonville/news/2010/11/10/jacksonville-giants-will-tip-off-dec-4.html. Retrieved November 24, 2010. ^ Zima, Mike (December 5, 2010). "Jacksonville Giants romp in overwhelming debut". The Florida Times-Union. http://jacksonville.com/sports/basketball/2010-12-05/story/jacksonville-giants-romp-overwhelming-debut. Retrieved December 6, 2010. ^ Gary, Smits (July 9, 2009). "UNF officially moves to Division I". Jacksonville Business Journal. http://jacksonville.com/sports/college/north_florida_ospreys/2009-07-09/story/unf_officially_moves_to_division_i. Retrieved October 31, 2010. ^ "About JU". www.ju.edu. Jacksonville University. 2010. http://www.ju.edu/about.aspx. Retrieved October 31, 2010. ^ a b c d e "Jacksonville, FL MSA". thearda.com. Association of Religion Data Archives. 2000. http://www.thearda.com/mapsReports/reports/Metro/3600_2000_Theology.asp. Retrieved March 28, 2018. ^ "Church Statistics". dosafl.com. 2010. http://www.dosafl.com/navSubLanding.asp?HorizSubNavID=79. Retrieved May 3, 2011. ^ "Jacksonville's Immaculate Conception named a Minor Basilica". The Florida Times-Union. August 15, 2013. http://jacksonville.com/news/metro/2013-08-15/story/jacksonvilles-immaculate-conception-named-minor-basilica. Retrieved December 5, 2013. ^ "Eastern Rite Churches". dosafl.com. 2010. http://www.dosafl.com/NavLanding.asp?ID=48. Retrieved May 3, 2011. ^ Gerber, Ron. "Living the Jewish Life in Jacksonville, Florida". Walk2shul.com. http://www.walk2shul.com/lif_articles/jacksonville-fl-jewish-community.php. Retrieved 2012-02-02. ^ "Synagogues". jewishjacksonville.org. 2011. http://jewishjacksonville.org/page.aspx?id=111675. Retrieved May 3, 2011. ^ "Islamic Center of Northeast Florida, Inc.". http://icnef.org/. Retrieved 2007-07-19. ^ Jenkins, Edward. "About Jacksonville". About.com. The New York Times Company. http://jacksonville.about.com/od/historystatsfunfacts/tp/Movies-Made-In-Jacksonville.htm. Retrieved 27 November 2011. ^ "Census 2010 News | U.S. Census Bureau Delivers Florida's 2010 Census Population Totals, Including First Look at Race and Hispanic Origin Data for Legislative Redistricting". 2010.census.gov. 2011-03-17. http://2010.census.gov/news/releases/operations/cb11-cn95.html. Retrieved 2012-02-02. ^ "Annual Estimates of the Resident Population: April 1, 2010 to July 1, 2012". http://www.census.gov/popest/data/cities/totals/2012/SUB-EST2012-3.html. Retrieved June 7, 2013. ^ "The Arab Population: 2000" (PDF). Census 2000 Briefs. United States Census. December 2003. http://www.census.gov/prod/2003pubs/c2kbr-23.pdf. Retrieved April 28, 2011. ^ Haya El Nasser (November 20, 2033). "U.S. Census reports on Arab-Americans for first time". USA Today. http://www.usatoday.com/news/nation/2003-11-20-arab-americans_x.htm. Retrieved April 28, 2011. ^ American FactFinder, United States Census Bureau. "Jacksonville city, Florida - Selected Social Characteristics in the United States: 2006-2008". Factfinder.census.gov. http://factfinder.census.gov/servlet/ADPTable?_bm=y&-geo_id=16000US1235000&-qr_name=ACS_2008_3YR_G00_DP3YR2&-ds_name=&-_lang=en&-redoLog=false. Retrieved 2010-07-01. ^ "MLA Data Center Results of Jacksonville, Florida". Modern Language Association. http://www.mla.org/map_data_results&SRVY_YEAR=2000&geo=&state_id=12&county_id=&mode=&lang_id=&zip=&place_id=35000&cty_id=&region_id=&division_id=&ll=&a=&ea=&order=r&pc=1. Retrieved 2011-04-11. ^ Rincon, Kevin (July 1, 2011). "Alvin Brown takes over as Mayor of Jacksonville". wokv.com. Retrieved on July 1, 2011. ^ Dana Treen (April 26, 2011). "Results are in: Duval County no longer state murder capital". The Florida Times-Union. http://jacksonville.com/news/crime/2011-04-26/story/results-are-duval-county-no-longer-state-murder-capital. Retrieved April 28, 2011. ^ Reiss, Sarah W. (2009). Insiders' Guide to Jacksonville, 3rd Edition. Globe Pequot. pp. 184–187. ISBN 0-7627-5032-4. http://books.google.com/books?id=rlHWoqDYZHkC&printsec=frontcover&source=gbs_ge_summary_r&cad=0#v=onepage&q&f=false. Retrieved May 10, 2011. ^ Reiss, Sarah W. (2009). Insiders' Guide to Jacksonville, 3rd Edition. Globe Pequot. p. 187. ISBN 0-7627-5032-4. http://books.google.com/books?id=rlHWoqDYZHkC&printsec=frontcover&source=gbs_ge_summary_r&cad=0#v=onepage&q&f=false. Retrieved May 10, 2011. ^ Reiss, Sarah W. (2009). Insiders' Guide to Jacksonville, 3rd Edition. Globe Pequot. p. 184. ISBN 0-7627-5032-4. http://books.google.com/books?id=rlHWoqDYZHkC&printsec=frontcover&source=gbs_ge_summary_r&cad=0#v=onepage&q&f=false. Retrieved May 10, 2011. ^ a b "About dcps: our schools". duvalschools.com. Duval County Public Schools. 2010. http://www.duvalschools.org/static/aboutdcps/new%20residents/aboutdcps.asp#schools. Retrieved April 28, 2011. ^ Reiss, Sarah W. (2009). Insiders' Guide to Jacksonville, 3rd Edition. Globe Pequot. pp. 189–190. ISBN 0-7627-5032-4. http://books.google.com/books?id=rlHWoqDYZHkC&printsec=frontcover&source=gbs_ge_summary_r&cad=0#v=onepage&q&f=false. Retrieved May 10, 2011. ^ Bauerlein, David (2007-05-08). "Jacksonville finishes near last in manufacturing study". Florida Times-Union. http://jacksonville.com/news/metro/2012-05-08/story/jacksonville-finishes-near-last-manufacturing-study. Retrieved May 9, 2012. ^ Clark, Hannah (2007-02-16). "Table: Best Cities for Jobs". Forbes.com. Archived from the original on 2007-02-26. http://web.archive.org/web/20070226094105/http://www.forbes.com/careers/2007/02/15/best-cities-jobs-leadership-careers_cx_hc_0216cityjobs_table.html. Retrieved 2007-12-20. ^ "Fortune 500: Florida". money.cnn.com. http://money.cnn.com/magazines/fortune/fortune500/2011/states/FL.html. Retrieved October 25, 2011. ^ "Bnet Business Network: Cities of the United States (2005)-Jacksonville: Economy". Findarticles.com. 2005. http://findarticles.com/p/articles/mi_gx5213/is_2005/ai_n19129622. Retrieved 2010-07-01. ^ No carrier for Mayport in the near future, if at all. jacksonville.com. Retrieved on 2013-07-12. ^ "Bouchard4B website: Things I didn't know about Jaxport". Bouchard4b.pbwiki.com. 2007-09-25. http://bouchard4b.pbwiki.com/About%20Jaxport. Retrieved 2010-07-01. ^ "The Florida Legislature Archive: BILL# HB945 RELATING TO the Jacksonville Seaport Authority" (PDF). http://www.leg.state.fl.us/data/session/2002/House/bills/analysis/pdf/2002h0945.tr.pdf. Retrieved 2010-07-01. ^ "The Jacksonville Port Authority". Jaxport. http://www.jaxport.com/. Retrieved 2010-07-01. ^ John W. Cowart (2006-03-01). "Men of Valor: A History of Firefighting in Jacksonville Florida, 1886-1996". Bluefish Books. p. 71,94–96,130. ISBN 9781411683006. http://books.google.ca/books?id=opQCI2XxDZgC&pg=PA94&dq=jacksonville+fireboat&hl=en&sa=X&ei=hUmmUtCFM8XGqgHd0oD4Dw&redir_esc=y#v=onepage&q=jacksonville%20fireboat&f=false. Retrieved 2013-12-09. ^ US Fire Administration. Special Report: Fireboats; Then and Now. FEMA. p. 6,7,15,23. http://books.google.ca/books?id=sKNLPbi41A4C&pg=PA23&dq=jacksonville+fireboat&hl=en&sa=X&ei=hUmmUtCFM8XGqgHd0oD4Dw&redir_esc=y#v=onepage&q=jacksonville%20fireboat&f=false. Retrieved 2013-12-09. "One consistent feature of most fireboat training programs is the training for the fireboat captain or master. Often this individual is different than the officer assigned to coordinate fire attack. Though not required in all cases -- mainly because fireboat vary in size -- most fireboat captains are certified/licensed through the United States Coast Guard for operations of a vessel up to 100 tons. In some jurisdictions, such as Jacksonville, Florida, all crew members are required to be USCG-licensed regardless of what position they are assigned on the boat." Jackson, David H., Jr., “‘Industrious, Thrifty, and Ambitious’: Jacksonville’s African American Businesspeople during the Jim Crow Era,” Florida Historical Quarterly, 90 (Spring 2012), 453–87. This page uses content from the English language Wikipedia. The original content was at Jacksonville, Florida. The list of authors can be seen in the page history. As with this Familypedia wiki, the content of Wikipedia is available under the Creative Commons License.